I regularly teach business strategy in my management and marketing classes. As a part of this, I like to expose my students to the work of Michael Porter. This includes Porter’s concept of “stuck in the middle.” The premise of “stuck in the middle” is that companies that do not pursue cost leadership or product/service differentiation experience the lowest possible market returns and for this reason, eventually go out of business. According to Venture Capitalist and Author Geoffrey Moore, the returns for these companies can drop to below the cost of capital. For several years, I have felt that companies like Kmart, JCPenney and Sears were not only stuck in the middle but had no way out. And I have even told this to my students so. Simply put, the above retailers lack the differentiation of a high-end retailer like Nordstrom or the cost structure of a discount retailer like Walmart. 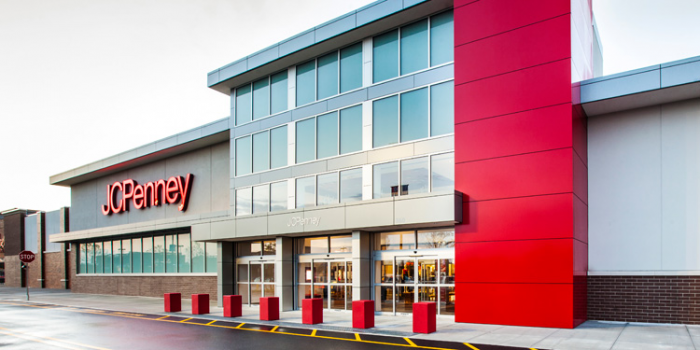 Now, to be completely fair, there are many forms of product or service differentiation, so JCPenney never had to become Nordstrom or Macy's—something that they even tried several times to do. And there is good news buried in here for all business. That advent of digital disruption opens strategic windows for those that are ready to seize them. In particular, it opens windows for those that view data as foundation, and more importantly, as a proof point for all business strategy. As we look at digital disruption, one of its core components is customer experience. So the question is, “Can a 100-plus-year-old company change its game, and by doing so, differentiate itself by the customer experience it delivers?” Marvin Ellison, the newly-minted CEO of JCPenney, has taken this task on personally. He is proving the primacy of customer experience, and more importantly, the primacy of data in driving great customer experience. According to Ellison, “Pure intuition without any data gets you in trouble. We went through 18 months of that and were not going to do that again.” Personally, I always found it interesting that venture capitalists would invest in an A team with a B idea over a B team with an A idea, but what they knew is the A team was pivotal to an A idea as they validate the market. In other words, they will hone their business and business model to respond to the market. This is exactly what Ellison is doing at JCPenney. Here is a great example, “Women make up about 80% of Penney’s clientele, and Penney managers believed that, generally speaking, those women were likely to buy shoes for their spouses and beaus." After market testing whether this was, in fact, the case and whether showcasing men’s shoes next to men’s suits was a better idea, Ellison moved men’s shoes. This gave more room to women’s shoes and allowed shoes to be cross sold with suits or casual outfits. This led to an across the board double digit gain in footwear. Ellison did not stop. With data, he moved women’s accessories closer to dresses. Clearly as Theodore Levitt said, managers ask questions. And in today’s business, they test their conclusions from those questions with data. With data, Ellison was able to change JC Penney’s chances of surviving and increase sales by 3.9% during the 2015 holidays. This was a season where Macy’s actually experienced a 5.2% decline. At the same time, Ellison has been making Penney smarter and more efficient at keeping customers loyal and selling more to each customer on a one-on-one basis. According Bernie Marcus, co-founder and former chairman of Home Depot, too many CEOs in retail like to be the smartest person in the room. He says that Ellison is not this person. Interesting, as Sears seems to fade, JCPenney is even now adding appliances. This decision was once again made on data. Stores realized that all of their customers were searching for appliances at JCP.com. We are now entering an age of disruption. Disruptors win by using data and analytics to create winning business strategies. These business strategies need to come in four forms—a unified company approach, customer experience, connected digital ecosystems and new business models. To excel at any of these, you need a data-centric viewpoint. You need to not make brilliant decisions like Ellison's predecessor that were only intuition- or experience-based. This leads to failure in today’s world. And in the data-driven era, CEOs need their CIOs to do three things for them. Three things, and then CEOs like Ellison can find a strategic window open to do what I thought previously unthinkable and save a company that is stuck in the middle. The emergence of the analytical CEO. And why you should care.